Before reading a novel, we may peruse the blurb, read reviews and thumb through the opening pages to get a gist of what the story is about. While that isn’t necessarily a bad thing, how stirring would it be to stumble upon a story in your everyday? A letter titled ‘READ ME’ falling out of your newspaper during your commute to work, crowbarring a short story from an anonymous author into your unassuming hands. 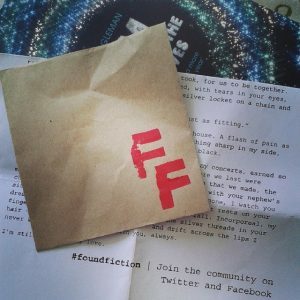 I introduce to you, Found Fiction, a guerrilla project based in Leeds. The idea behind the project is simple. People everywhere from the Steel City to Shanghai will send (up to) a 500 word short story to Found Fiction, the project will then print the story, mark ‘READ ME’ on the envelope and then leave it somewhere random to be found by a passer-by. The reader is encouraged to share the story via foundfiction on social media platforms to spread awareness. To date the project has been responsible for sharing hundreds of stories from people of all distinctions with completely different life experiences. In conversation with Steve Clarkson, who runs the project, he emphasised how Found Fiction shows there are ‘stories in everyday life’. An idea so simple yet effective, Steve has created a disrupter in publishing with guile and ingenuity. Going beyond bookshops and classrooms, Found Fiction echoes how stories have the ability to find people. Stories around the stories are often inspiring. Steve has received many responses to the project, readers reconciling their love for literature, exploding with words and a re-found yearning to read books cover to cover for the first time in many a year. Found Fiction rouses the reader and writer within us, which is occasionally lost to the doldrums of the digital world – myself included. The world we live in is one of instant gratification. If a book can be cut down into a 2-hour film, or we deem a series binge-worthy enough to get through 14 episodes in a day then we will watch. Posed with the idea of reading, we sometimes shrug novels off with a proverbial cold shoulder, let them accumulate a thick layer of dust or use them crudely as a coaster. Found Fiction is making strides to challenge this. Alongside their story distribution, Steve has other irons in the fire. 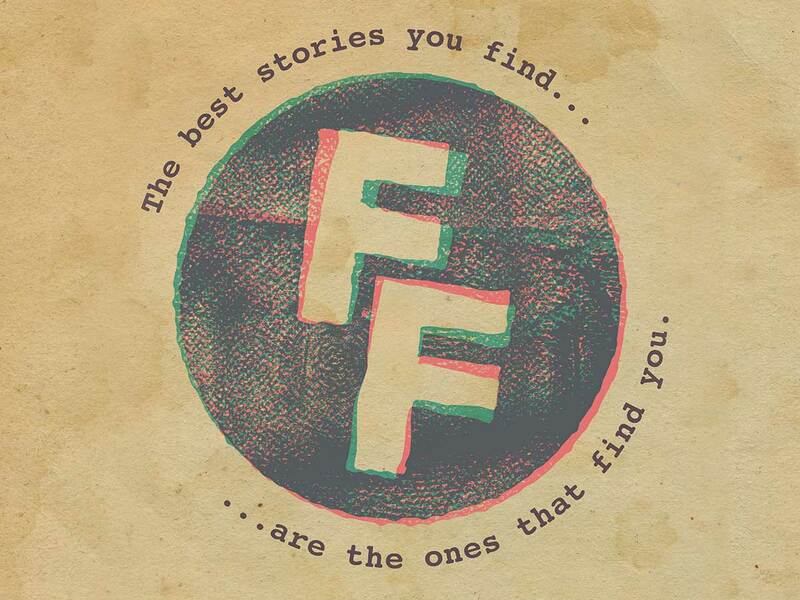 On Saturday 6th October, at the Hunslet Club in Leeds, Steve and the Found Fiction team will spend the day introducing children to the art of the short story with spoken word performers and children’s book authors. Partnered with the ambiguity of leaving an anonymous story for a random person to find, read and share and you begin to understand why Found Fiction could be an influential project for children and adults alike. This project is fresh and unique – making it the perfect opportunity for anyone who has a passion for literature to get involved. Steve could not have been more transparent with his ‘call to action’, he is very keen for people to get in touch – whether they want to write, distribute or get involved in the workshop. Found Fiction acts as a reminder of the serendipitous relationship between writer and reader in a way that disrupts publishing norms and breaks down the ‘deflective on entry’ barrier that literature and novels are sometimes burdened by.